August 25, 2018  A ruling by a federal judge late Friday was seen as a victory for public-sector unions. 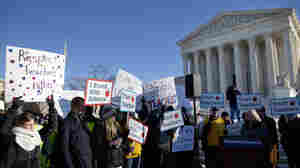 Protesters against Senate Bill 5 during a rally in February 2011 in Columbus. 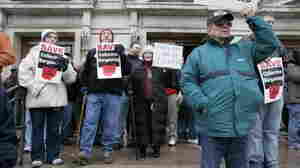 October 20, 2011  The pitched political battle pitting public workers unions against Republican budget-cutters is in its final stages in Ohio. Voters will cast ballots on Nov. 8 that could repeal the law that severely limits collective bargaining in the Buckeye State.